Current antler criteria will protect almost 100% of the 1½-year-old bucks. This protection will prevent over-harvest of bucks and will improve antler size as bucks get older. 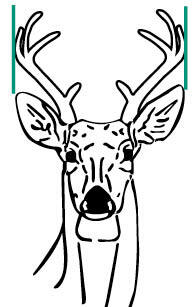 These protected bucks will improve skewed buck-to-doe ratios, resulting in higher reproduction. Zone lines are based on soil regions using highways and interstates as dividing boundaries. Private and open public lands east of I-55 and north of U.S. Highway 82. 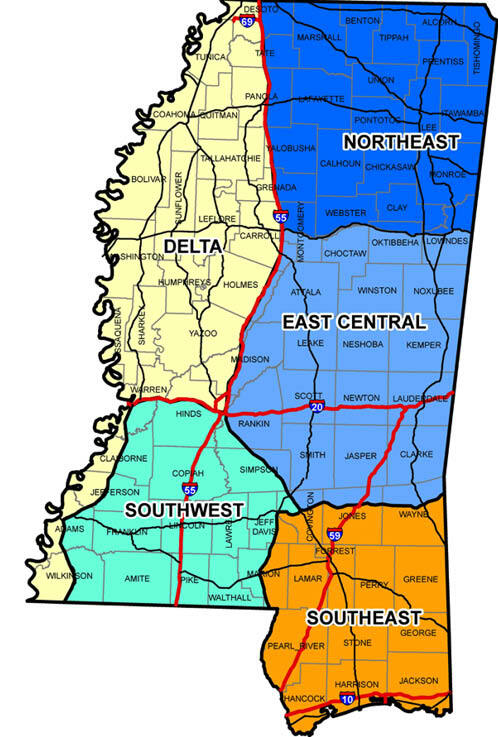 Private and open public lands east of I-55, east of U.S. Highway 49, south of U.S. Highway 82, and north of U.S. Highway 84. Private and open public lands east of U.S. Highway 61, south of I-20, west of U.S. Highway 49, and west of MS Highway 35. Private and open public lands south of U.S. Highway 84 and east of MS Highway 35. Private and open public lands west of I-55 and north of I-20 plus areas south of I-20 and west of U.S. Highway 61. Antlered Buck Deer: The bag limit on antlered buck deer is one (1) buck per day, not to exceed three (3) per annual season. Legal bucks must meet the antler criteria within the appropriate deer management zone. For youth hunters fifteen (15) years of age and younger hunting on private land and authorized state and federal lands, all three (3) of the three (3) buck bag limit may be any antlered deer. Private Land: The bag limit on Delta, Northeast, East Central, and Southwest zones antlerless deer is three (3) per annual season. 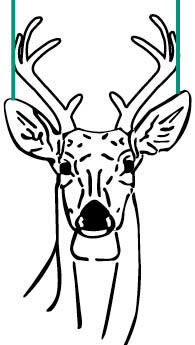 The bag limit on Southeast Zone antlerless deer is one (1) per day, two (2) per annual season. U.S. Forest Service Lands: The bag limit is one (1) per day, not to exceed three (3) per annual season except in the Southeast Zone, which is two (2) per annual season. A legal buck is defined as having either a minimum inside spread of 10 inches or one main beam at least 13 inches long. Estimating a 10-inch spread is accomplished by observing a buck’s ears in the alert position. When in the alert position, the distance from ear-tip to ear-tip measures approximately 14 inches. If the OUTSIDE of each antler beam is 1 inch inside the ear-tip, the inside spread is approximately 10 inches. 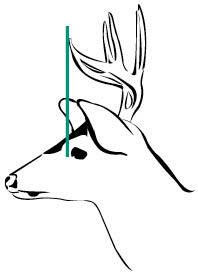 To estimate a 13-inch main beam, the buck’s head must be observed from the side. If the tip of the main beam extends to the front of the eye, main beam length is approximately 13 inches. A legal buck is defined as having either a minimum inside spread of 12 inches or one main beam at least 15 inches long. Estimating a 12-inch spread is accomplished by observing a buck’s ears in the alert position. When in the alert position, the distance from ear-tip to ear-tip measures approximately 15* inches. If the OUTSIDE of each antler beam reaches the ear-tip, the inside spread is approximately 12 inches. Therefore, if the outside of both antler beams reach the ear tips, the buck is legal. *Due to body size differences in the Delta Zone, ear-tip to ear-tip measurements are slightly larger compared to the Hill and Southeast Zones. 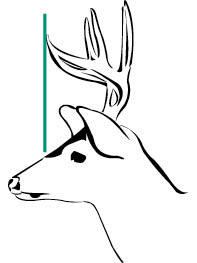 To estimate a 15-inch main beam, the buck’s head must be observed from the side. If the tip of the main beam extends between the front of the eye and the tip of the nose, main beam length is approximately 15 inches.